To apply for any of the positions listed below, please send your resume along with the names and contact information of three professional references to jobs@dolphinswimclub.com Make sure to specify in the subject heading of your email the location and position in which you are interested. If you have any questions, feel free to call the location(s) for which you are applying. Phone numbers are listed here. A leading provider of progressive swim lessons, DSC in Loves Park seeks a highly meticulous and dedicated Front Desk Team Member to perform various administrative and customer service functions in a fun, fast-paced environment. This position reports to the Front Desk Manager. Paid training is provided. Opportunity for advancement is always available to the right candidate. Use JackRabbit (database software) to prepare instructor schedules and to enter student registration and attendance information accurately, cross-checking all data with paper records. Follow up immediately with potential customers by phone and/or email to facilitate student registration and to collect feedback on DSC’s program. Update customer accounts to reflect the results of monthly payment reports and promotional campaigns, as well as in consideration of managerial needs. Complete, file, and safeguard confidential documents. Greet every customer, welcoming new parents with program information. Exercise tact and diplomacy when handling complaints, referring customers to the appropriate people and resources. Respond to customer and public queries (both over the phone and via email) in a timely and professional manner. Maintain an awareness of DSC’s services, promotions, and policies. Adhere to company procedures to ensure the facility’s safeness and cleanliness; perform light facility maintenance tasks. Accurately and efficiently complete sales transactions, maintaining proper cash while operating a credit card authorization system at POS registers. One year of customer service experience is required. The ability to work evenings and weekends is a must. Previous experience working with children is preferred but not required. Want a job that feels more like fun? DSC is always on the lookout for personable instructors who love being in the water and interacting with children. A background in swimming is not necessary. Applicants must nevertheless be able to tread water comfortably, as the interview process includes an in-water component. All new instructors are required to complete a minimum of 40 hours of PAID training. Opportunity for advancement, as well as flexible hours! Teach children of diverse backgrounds, levels, and ages to swim in accordance with DSC’s curriculum. Evaluate student performance against the company’s nine-level skill system. Enforce all pool safety regulations while inspiring students to build their water safety skills and self-confidence. Maintain a clean and safe environment by organizing, setting up, and clearing all wet and dry equipment. Foster and maintain positive relationships with parents, keeping them abreast of their children’s progress. 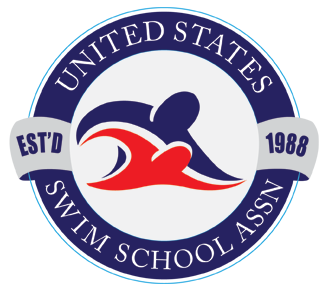 Familiarity with all competitive strokes (Freestyle, Backstroke, Breaststroke, and Butterfly) is required. A patient and flexible attitude coupled with a deep appreciation of cultural difference is a must. Other requisites include excellent interpersonal, customer service, team building, and time management skills. The ideal candidate will also have experience working with children and/or proven knowledge of child development.